Explore some free web based student created maps to get your students writing and thinking spatially! We will learn about different FREE tools and how students can use them tomorrow. This workshop will begin with an introduction to Google Maps. We will quickly look at some best practices from around the country in a variety of subject areas. An emphasis will be made in looking at maps created by students that show student writing. We will then look at how to actually create a map, and then share it. Participants will have the opportunity to collaborate on creating a map in real time. We will then move into some of the new features in Google Maps and discuss how they can be used in the classroom. Most importantly, we are going to make some maps! Google Maps- the basics. Why maps? Finding places, finding directions, saving maps. Google Maps- More- Creating Place markers, adding media. 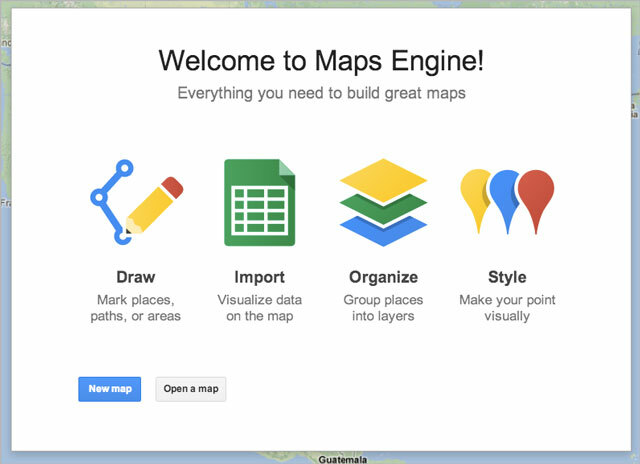 Google Maps- Even More- Collaborating and Publishing!